Buying a house is a big commitment, and can be very confusing if you are on a visa. There are many restrictions that the Foreign Investment Review Board (FIRB) has put in place to ensure purchases are completed correctly and in accordance with the Foreign Acquisitions and Takeover Act 1975. These can be hard to navigate and so it is crucial that you know what is required if you wish to purchase property. Good news for you! As a person who holds an Australian permanent residency visa, FIRB restrictions are lifted for your potential purchases. This means that rules for Australian citizens apply to you and no approval from the FIRB is required. Happy house hunting! If you hold this sort of visa then you can buy property in Australia, however, you have a lot less freedom in what you buy and how many properties you can acquire. The first thing you must do is gain approval from the FIRB to purchase property. This will incur a fee but if you fail to take this step you may be subject to criminal charges or significant penalties. These are residencies that have are on the secondary market and have been previously occupied and constructed. Temporary residents can purchase one established dwelling which is to act as their primary residence in Australia. This property cannot be used for investment purposes which means if you wish to sell and move, you must do so within 3 months. Renting out: you cannot rent the property out under any circumstances. Unfortunately this means that you cannot purchase an established dwelling for investment purposes. Is not a refurbished or renovated residence. Good news! You can buy as many new dwellings as your heart desires as there are no other conditions or limitations on this type of residency. Renting out: new dwellings can be rented out to other people, making this sort of property more suitable for investment purposes. It's crucial, however, that you ensure that the property is purchased in line with FIRB's requirements, and that you havethe necessary FIRB approvals. Remember, it's always best to seek legal advice on purchasing any property in a foreign country so you can be sure you are following the correct procedures. If you want to buy property in Australia, and need assistance understanding the FIRB's complex legal requirements, speak to the friendly team at Pathway Lawyers & Migration Agents today. Newer PostWhat are the benefits of living in Australia? 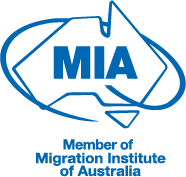 Older PostI am an Australian permanent resident - can I bring my parents to Australia?